Sherry came to PrimeCare from a career in banking, and currently holds the position of Administrative Assistant. 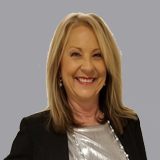 Sherry works closely with upper management and assists with compliance issues and Human Resources. Sherry is also in charge of secure email compliance. Sherry previously worked as a personal banker and holds a Florida Real Estate License.